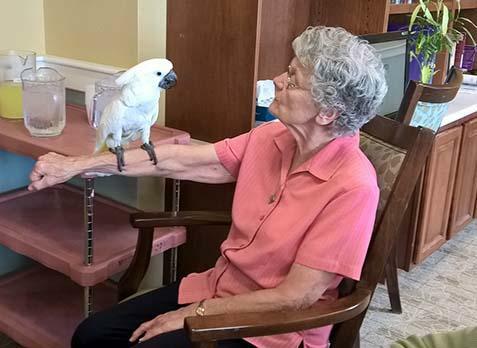 The Activities Program provides an activity schedule appropriate to the needs and interests of each resident. The programs encourage each resident’s maximum level of independence, enjoyment and psycho-social well-being. 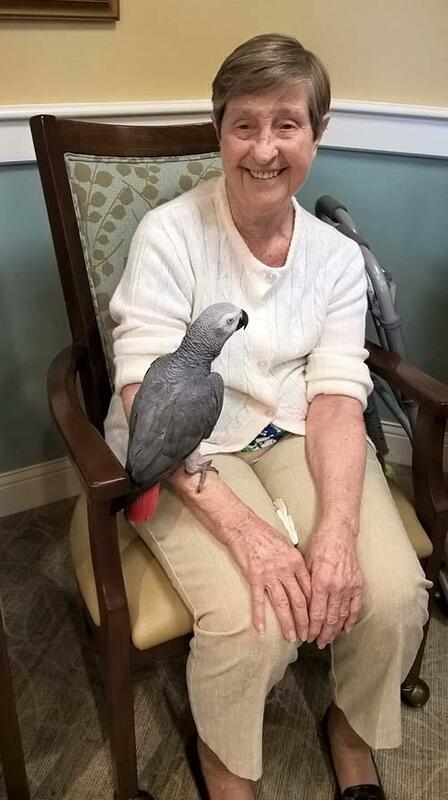 Pet therapy, also known as Animal Assisted Therapy, is a broad technique involving any interaction that patients have with animals to make them feel better — physically, emotionally, socially or cognitively.Linda Cusano, Life Enrichment Manager, has worked at Saint Joseph Villa for five years. Her dog, Brady, comes with her to work on the fourth floor three times a week. 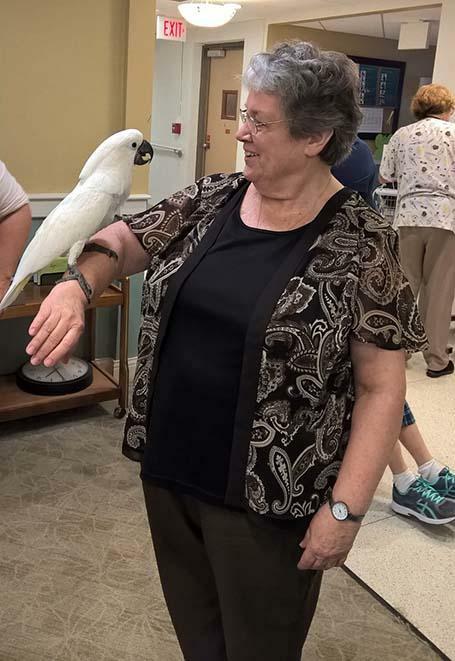 On Thursday, July 13, 2017, Linda, along with her friends, Bev and Marcella, delighted the residents and staff on the fourth floor with some feathery friends — their two parrots.